Yesterday I went to my first ever blogger meet. Eeek. The lovely Emily from Emily's Recipes & Reviews organised a Midlands foodie bloggers meet up, involving my favourite hobby - afternoon tea. Yes, afternoon tea is a hobby. Situated a 2 minute walk from The Bullring, in Birmingham City Centre, Hotel La Tour is a modern hotel which also has a lounge and restaurant upstairs. Beautifully decorated in festive lights and baubles, we also enjoyed a live acoustic singer whilst we had a chat (about food, mostly) and tucked into our afternoon tea. They had a good selection of teas including traditional English breakfast, Earl Grey and Jasmine or you could opt for coffee if you preferred. Unlimited too, which is always the best kind. 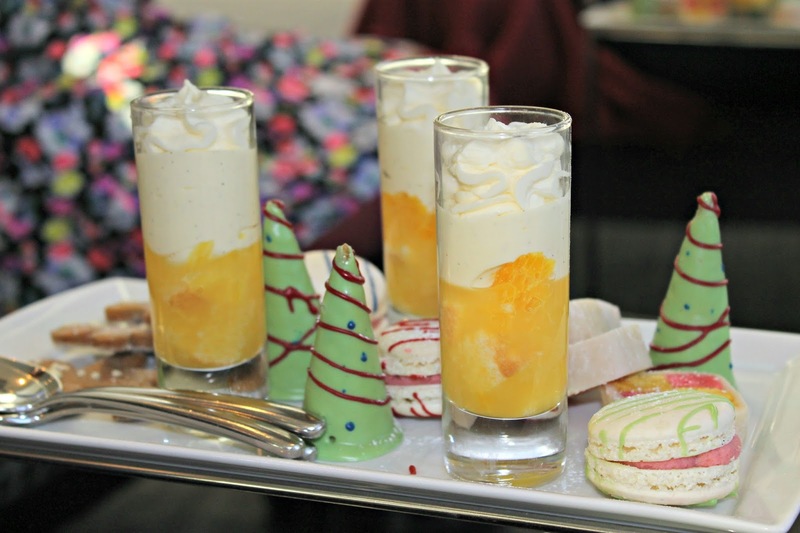 The afternoon tea was delicious, and looked fantastic! We quickly all got our cameras out to snap some pictures! 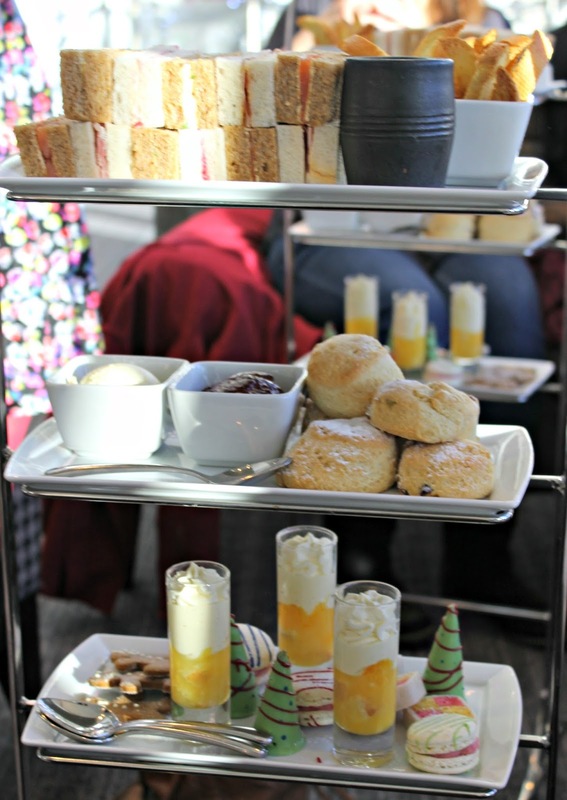 Along with the usual sandwiches and scones with clotted cream and jam, to get us into the Christmas spirit the tea had a festive spin on it including a turkey and cranberry finger sandwich, crisp gingerbread men and some white chocolate Christmas tree cones. What I also thoroughly enjoyed which I hadn't had at an afternoon tea before was the Welsh rarebit they had, as well as the finger sandwiches - which was essentially dipping crisp breads into melted cheese and mustard. Mmmmm. There was plenty of food for all of us, and by the end we all agreed we could do with a nap! Everyone who attended was so lovely, and I'm so glad I went and met them after speaking to them all on Twitter for a while! If you have a chance, and are looking for some new foodie and lifestyle blogs to read then check them out; Gingey Bites, Unorganised Chaos, Hannah Bakes Things, Birmingham Student Foodie, Hello Terri Lowe, Fork & Good, Full To The Brum and The Foodie Couple. We also got a goody bag filled to the brim with delcious foodie bits - including a whole quiche from Delisante which I forgot to get a picture of, but I'm looking forward to eating for lunch tomorrow (I have roasted pepper and goats cheese). Chris was happy as soon as I got home, and my macaron from Yipsy Macarons was gone before I knew it (I struggled to argue though, as I was still in a sugar coma!). I'm excited to get cooking with the stuff we got though, and already have lots of ideas going around in my head. Thanks to all the brands who contributed! I'm feeling Christmassy after this weekend and I'm getting excited to go back to my parents house in Bournemouth to spend a week with friends and family. However, I still need to write my cards and even get a few presents! Maybe I'll tuck into the Thorntons Winter Dessert Selection whilst I do this! 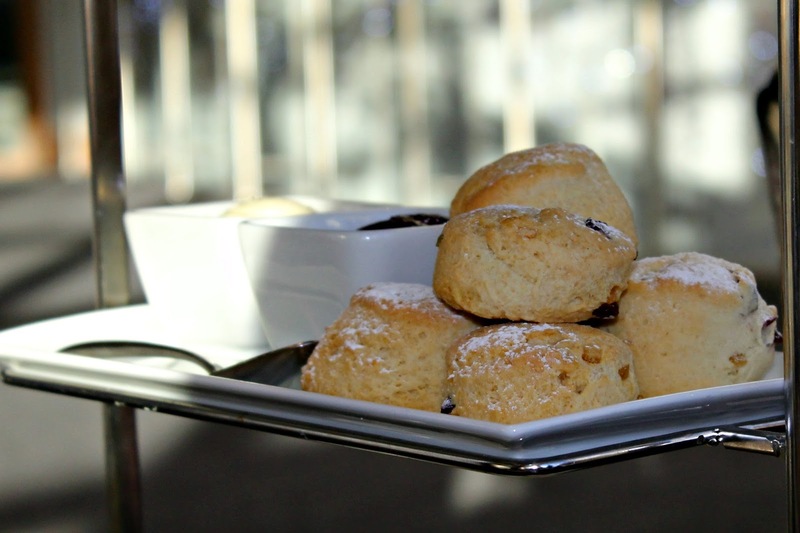 Disclosure: We paid for our own Afternoon Tea, and Hotel La Tour did not know they would be subject to review. 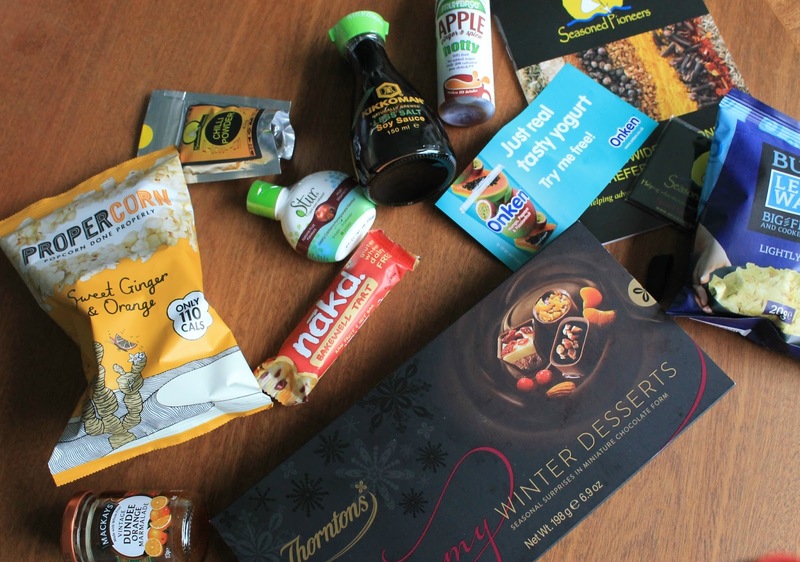 The items in the goody bag were kindly given to us by brands but all opinions are my own. You too Hannah and you're more than welcome! Thanks Emma! Great to meet you too - hope you found your way to your friends ok! was fab to meet you, and a lovely write up! Give yourself a break from the kitchen and choose something simple yet elegant. Instead of opting for the usual, why not try one of the following simple Europe recipe. Your article is awesome. please publish these such good blogs to spread good info.Please refer Basic computer course which will be very helpful for people. The type chosen depends solely on the desires of the travelers. Each can offer relaxation, excitement, adventure or all three.